Lyme Disease is called “The Great Imitator” because it mimics so many other disease processes. More and more people are diagnosed with Lyme disease every year but unfortunately it remains a diagnosis that is often missed and misdiagnosed as another illness! It is especially common in Minnesota! This results in continued suffering while the underlying cause contributes to spread throughout the body. In my office I see patients every day who have been treated for years for the symptoms listed above but continue to experience the exact same level of suffering! My name is Dr. Phil Gilman. I am board certified in integrative medicine and a Fellow of Medicina Alternativa. I am certified in applied kinesiology and acupuncture. I am a published thyroid researcher. In my office I use natural protocols to help patients suffering with late-stage lyme disease feel better and live healthier, more joyful lives! Why is Lyme disease missed so often and how is my approach different? In its early stages Lyme disease may manifest with symptoms of body aches, fever, arthritis and the traditional bulls eye rash. Unfortunately, many individuals who contract Lyme do not ever manifest a bulls-eye rash. 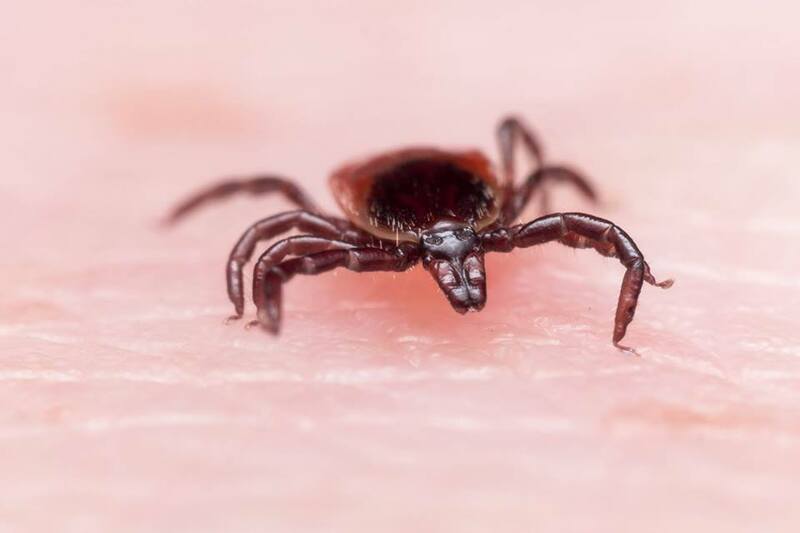 Even more unfortunate is the fact that the standard lab testing (ELISA/Western Blot) performed is NOT sensitive in confirming the presence of Lyme disease. THIS RESULTS IN MANY CASES OF LYME DISEASE GOING UNDETECTED FOR YEARS! In my office we run blood testing to assess the thyroid, blood sugar, WBC counts (indicating potential infections), hormones, adrenal function, and inflammatory markers (potentially indicating infection/auto-immunity). This allows us to get a solid baseline to see if there are other factors contributing to a patient’s condition. When I test for Lyme disease I use a more sensitive testing such as multi-peptide ELISA test with Western Blot. This means that I test for the main bacteria that causes Lyme disease (borrelia burgdorferi) as well as all the other co-infections and borrelia sub-infections that can be transmitted via ticks. In addition I test additional immune markers that can give indication of Lyme while it is hiding dormant in the body. What can be done for late-stage Lyme Disease? There are many opinions and approaches for supporting patients with Lyme disease. In my office I use the “5 Tiered Neuro-Immune Protocol” that I developed: #1) Neurological Support – Lyme is known for affecting the nerves and the brain resulting in pain, headaches, brain fog, and fatigue. I perform a full neurological examination on every patient to identify areas of decreased neurological health. I then use brain based therapies, Pulsed Electro Magnetic Frequency, and heart rate variability therapy to help support the recovery of the brain and nerves. #2) Immune Support – Late stage Lyme triggers auto-immune reactivity. This results in a hypersensitive immune response. This means that Lyme patients become reactive to foods they are eating, household chemicals they are using, and even perfumes/body lotions that they are applying. When a Lyme patient is exposed to a substance they are reactive to it will create more inflammation in their immune system and in their body. It is imperative to identify immune triggers and to give immune support to decrease the level of immune sensitization. #3) Detoxification Support –Lyme patients have increased stress on their detoxification organs including the liver, the kidneys, and the skin. Many Lyme patients are unable to sweat because their detoxification pathways are so bogged down. If detoxification is blocked supporting against the infection will make the patient worse! We always give support to help encourage the body’s ability to detoxify. #4) Genetic Support – I run comprehensive genetic testing on all of my Lyme patients. This allows us to identify specific areas of weakness in each individual where the chronic Lyme infection is most likely to create damage. Once we have identified the areas of greatest vulnerability for a patient we can give customized support to reduce these areas of weakness! #5) Anti-microbial Support – This one makes the most sense. Once we have stabilized a patient’s immune system and detoxification pathways we will give support aimed at killing the Lyme bacteria along with any other opportunistic parasites, viruses, yeast, molds, and biofilms that are present! I have made it my mission in practice to help those suffering with chronic symptoms! Nothing gets me more excited than seeing someone who has been chronically suffering getting back to feeling like the person that they were before they got sick! To set up a free 10-minute phone consult, call 952-479-7953 now or sign up easily RIGHT HERE on our website. In addition to my free 10-minute phone consult offer I am also offering a special examination offer for individuals who are suffering from Lyme-like Symptoms (fatigue, brain fog, joint pain, muscle pain, depression, anxiety, bloating, etc). For a limited time I am offering my new patient consultation and examination for $87! What exactly does this offer include? • An in-depth consultation where I will listen…really listen!! • A complete functional neurological examination. • A thorough analysis of any past health records including past laboratory results so I can start mapping out a recovery plan. Imagine feeling great without being dragged down by constant symptoms. Imagine waking up each morning, jumping out of bed, and enjoying the day…no more waking up dreading the day! No two patients are the same and it is always my goal to dig into the unique characteristics of every patient's health history and develop a comprehensive approach to healing! To set up the initial consultation at my office call 952-479-7953 or sign up RIGHT HERE on our website. Call anytime between the hours of 9:00 am and 6:00 pm Monday through Thursday.